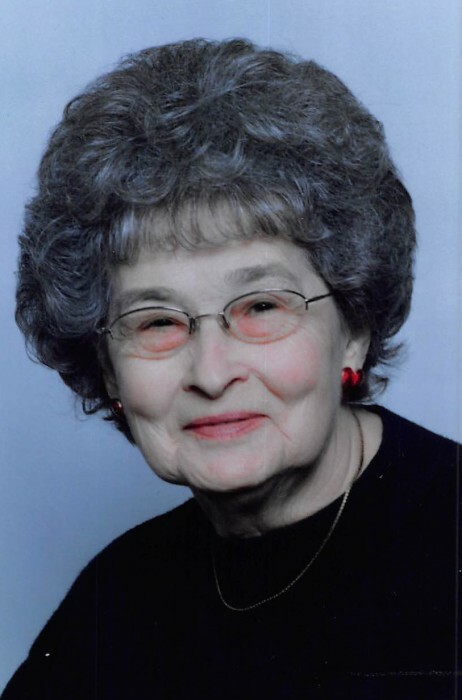 Obituary for Helen Josephine Ruffcorn | Hunter Funeral Home, Inc.
Helen Josephine Ruffcorn, 88, of Loraine passed away on Monday, September 17, 2018 in Blessing Hospital in Quincy. Helen was born on August 10, 1930 in Stillwell to the late Ray and Nellie (Prather) Neill. She married Lester Ruffcorn on October 21, 1947 in Sutter. Lester passed away on January 24, 1983. Helen had attended the Sutter Salem Bible Baptist Church and later the United Methodist Church of Loraine. She retired from North Adams Home in Mendon after 30 years. She loved going to church and bible studies and was a part of the Walk to Emmaus family. She loved to garden working on arts and crafts and going places. Surviving are; one daughter, Joyce (Damon J.) Whitaker of Loraine; two grandchildren, Shon (Katie) Williams of Loraine, Damon M. (Ambria Jones) of Loraine; seven great-grandchildren, Samantha, Alexis, Alana, Harley, Braylee, Brendon; one sister, Elaine Mathewson of Carthage and nieces and nephews, Marcia, Rodney, Randy, Robbie, Cheryl (Robert) and Sheri (Buddy). She was preceded in death by; one daughter, Sue Ellen Ruffcorn and one sister, Wilda Mae Steinkuhler.